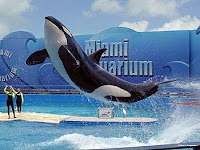 Miami Seaquarium offers visitors an entertaining and educational experience found in very few locations in the United States. Our region’s tropical climate allows for year-round outdoor marine shows featuring dolphins, killer whales and other sea creatures. The Seaquarium also features exhibits of sea turtles, seals, sea lions, and our very own Florida Manatee. Be sure to check the Seaquarium website before you leave home, as the show schedule varies from day to day.